Matt has been involved in Scouting since he was 13 and hasn’t looked back since. Starting out as a Scout at 15th Brighton he achieved his Australian Scout Medallion, before spending three years as a Venturer at 28th Glen Eira and continuing his journey as a Rover at Everest Le Page Rover Crew. 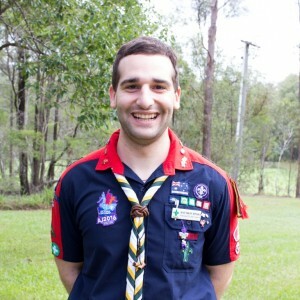 Joining 10th Caulfield in 2009, Matt has been an active Leader within the Group working to ensure an engaging and fulfilling program is delivered to 10th Caulfield’s Scouts week in week out. Matt is a keen traveller, having attended countless international Scouting events during his time in the movement, and has helped to share this international flavour of Scouting with his Scouts back at home.